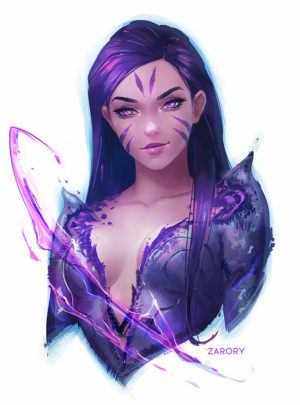 Claimed by the Void when she was only a child, Kai’Sa managed to survive through sheer tenacity and strength of will. Her experiences have made her a deadly hunter and, to some, the harbinger of a future they would rather not live to see. Having entered into an uneasy symbiosis with a living Void carapace, the time will soon come when she must decide whether to forgive those mortals who would call her a monster, and defeat the coming darkness together… or simply to forget, as the Void consumes the world that left her behind.